Speaking of Mini Bite, near our main dining table is a new, small dining table and chairs. We got it for Christmas and Mini B enjoys rearranging the chairs and using the table for playing. 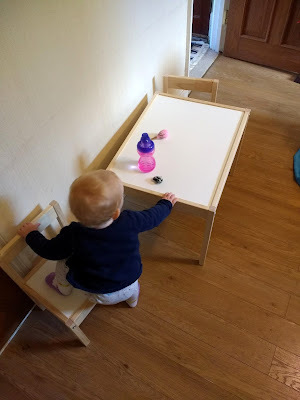 We're yet to give her food there - I am not sure she'd stay seated through the meal - but in time it will be useful as an alternative to her high chair too. 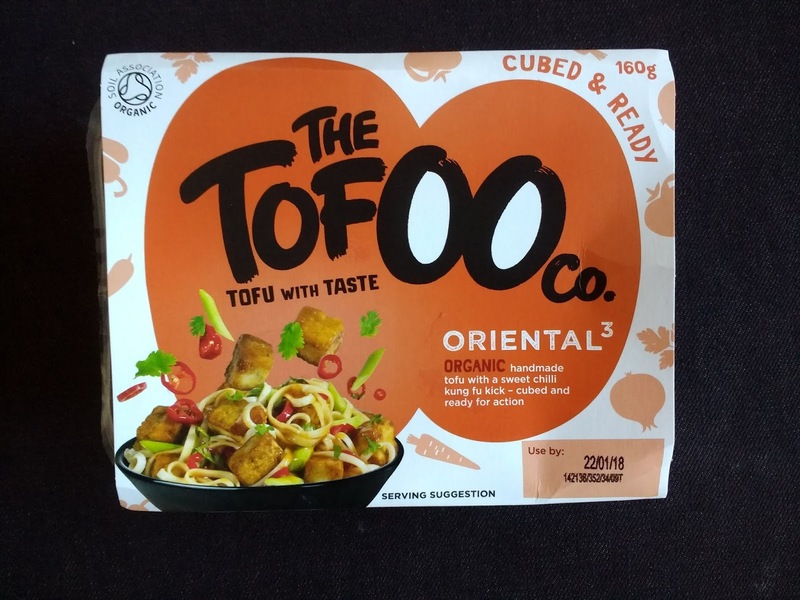 When I first tried Tofoo tofu I didn't much like it, but it has grown on me over recent months. 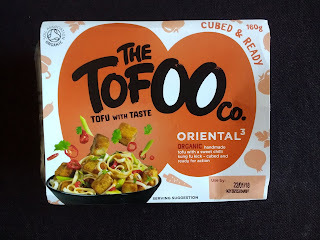 The texture is different to other brands I've tried, sort of softer and chewier simultaneously, but I like the flavour of these oriental style pieces. 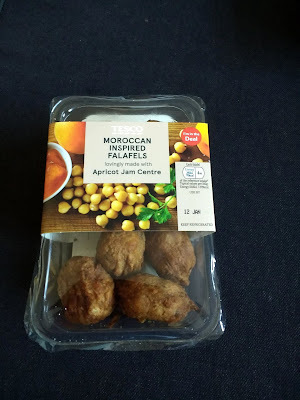 Tesco is one of the few places I can still reliably find vegan falafel, and I recently spotted this Moroccan inspired version to try. I am intrigued by the apricot jam centre and have high hopes for them! Another jammy presence in my kitchen is this peach and ginger jam that came in a Christmas gift hamper. I don't eat jam regularly but I am loving this while we have it. 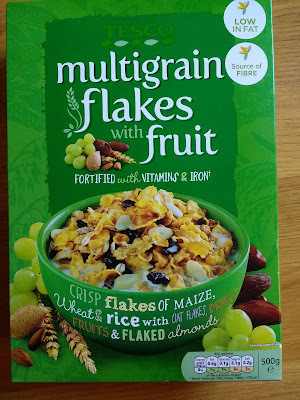 It's been a while since I've showcased cereal, partially because I have fewer packets on the go now I'm mindful of toddler-friendly choices. For breakfast I almost always have porridge / oats or weetabix, but I enjoy this flakes and fruit mix for snacking. In my kitchen is an assortment of yoghurts. 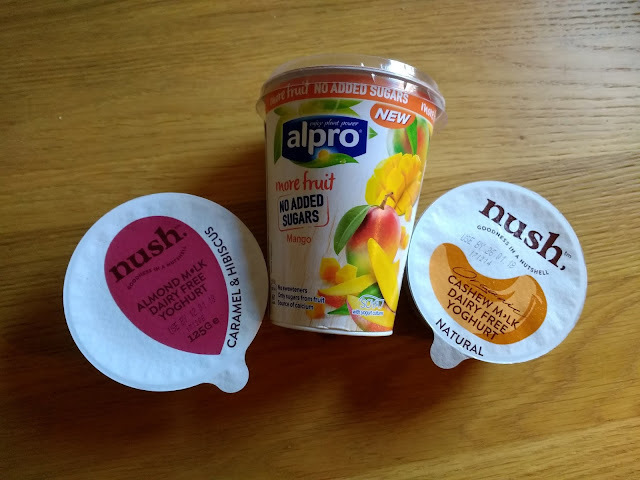 I still love the Nush brand and the caramel and hibiscus flavour is probably my favourite yoghurt on the market. 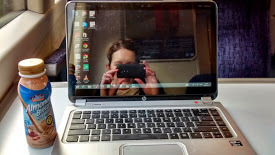 I am also enjoying Alpro's new mango yoghurt without added sugar. Not pictured, but also a kitchen staple, are the plain Alpro soya-coconut and soya-almond yoghurts. Peach and ginger jam is a really appealing flavor. 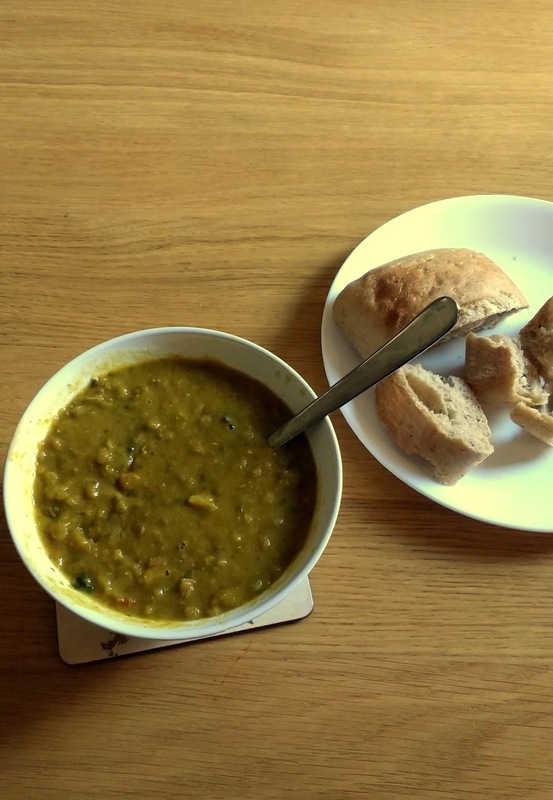 Your kitchen looks so warm and welcoming! Have a great year in 2018. Thanks very much Mae, and happy 2018 to you too! I liked the filling in the falafels but Mr B was not a fan - hard to say if D would like it more or less than usual falafel if he's not big on them! Indeed, if stressful for me sometimes as I watch her clamber on and off in most unusual ways! With you on the Tofoo and the caramel and hibiscus, both definitely get the thumbs up from me! 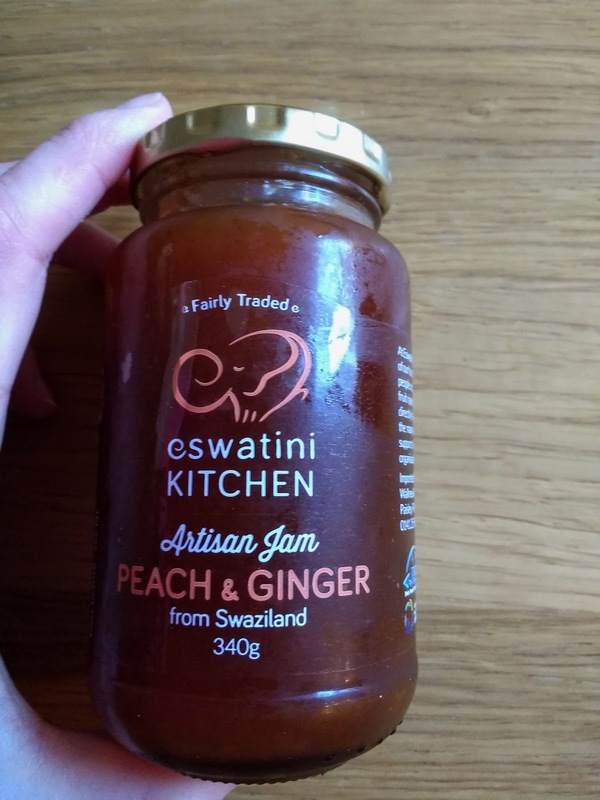 Peach and ginger jam does sound good. 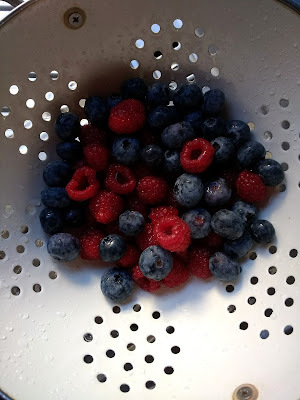 I don't each much jam, but I'm a sucker for a more interesting flavour. Love the berries and Mini Bite's table. So cute! The jam looks really good! Soups are a staple in our house during the winter months, so easy to make and chock full of veggies and beans. What a sweet pint sized table, I think she will get lots of enjoyment from it. And that jam looks delicious, wonderful combination peaches and ginger. Happy New Year. Thank you Liz. You too! Definitely no gypsum! How very funny. Or, perhaps, some brands do but not the ones I have come across - that would be very off putting!